The Rural Sociological Society and West Virginia University Press collaborate on the Rural Studies Series to promote the scholarly analysis of rural social issues. We look for well-written and well-conceptualized manuscripts on a wide range of topics of interest to a broad readership. We are especially interested in manuscripts that address the connections between the local and global, the embedded-ness of social structure and social processes in the organization of social space, and the integration of rural places within the global system. We seek a diversity of theoretical and methodological approaches and encourage scholars from all the social sciences to submit book proposals for possible inclusion in the Series. West Virginia University Press does not exercise veto power over manuscripts approved for the Series by its Editorial Board. Spencer Wood, our Editor at West Virginia University Press, works closely with the members of the Editorial Board in the review and evaluation process. He also works with members of RSS to publicize and promote volumes in the Series. Now is a golden opportunity to have your manuscript or prospectus considered for publication. A prospectus is reviewed by a member of the Editorial Board and an outside scholar. If the reviews are generally favorable, the author will be asked to prepare a full manuscript, taking into consideration the comments and suggestions of the reviewers. The full manuscript then is sent for review by a group of scholars, some of whom may overlap with the initial reviewers of the prospectus. Reviewers’ comments are sent to all members of the Editorial Board and to Spencer Wood. A decision is made about publication based upon the recommendations made by the reviewers and the members of the Editorial Board. West Virginia University Press takes responsibility for the steps involved in turning an approved manuscript into final copy. On a case-by-case basis, the RSS Publications Committee provides assistance for authors (e.g., the production of camera-ready copy of charts and graphs). 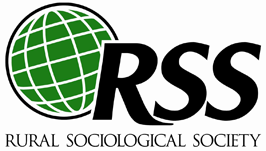 It is not necessary that a prospective author be a member of the Rural Sociological Society, but we hope that anyone who contributes to the Rural Studies Series will join RSS and become an active member of our scholarly community. For additional information, please visit the Rural Studies Series website.